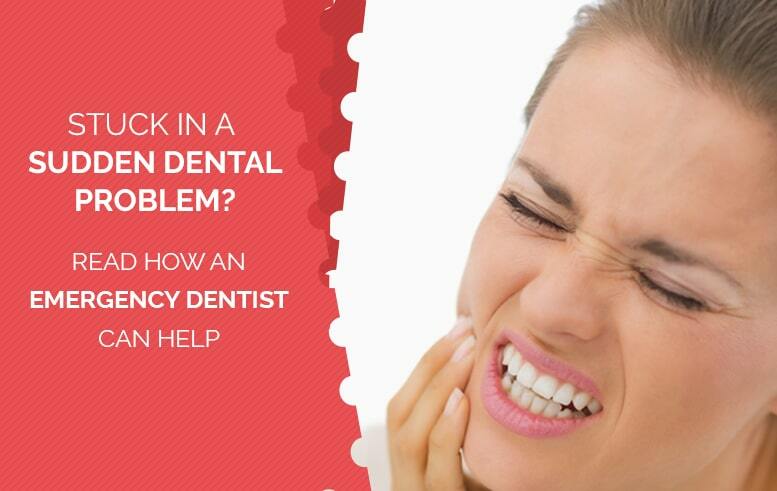 Life is full of unpredictable events and a dental emergency is one of them. An emergency can strike anywhere and anytime, regardless of the situation and circumstances. A sportsperson may lose a tooth or damage one by a strong blow on the face. You might even break your crowns while eating hard foods, so situations and injuries may vary but the solution is one for all – emergency dental care. You need to remain alert and act smartly when stuck in any sudden oral injury. If you are a resident of London, you are lucky to have various dental clinics offering emergency dental services to their patients. Stay glued to know about the sudden dental cases and its cure with help of your emergency dentist. Cracked or chipped tooth – Occurs when you bite on hard foods or fracture a crown or old filling mistakenly. Avulsed Tooth – When you accidently lose a tooth during a sports activity or a serious fight. Toothache – When you wake up with a miserable toothache due to tooth decay or gum infection. Lost crown, filling or bridges – When you lose your filling unknowingly or your crown gets damaged. Root Canal Treatment – When your tooth root gets infected or nerves around them turns dead. Knocked-out tooth - Your dentist will examine you and try to fix the tooth back in the socket, keeping it bonded with the nearby teeth for a few weeks. This helps the tooth heal faster and become firmer to its root. You can even try fixing it back yourself, just place the tooth in the socket and bite down. You don’t think it’s possible? Not to worry, just take your tooth to your dentist, safe in a milk container. Is it not you but your child with an avulsed tooth? Remember, you should never try the same technique with children. Fixing their tooth back into the socket as it can have adverse effects instead of healing the pain. It is advised to bring your kid to the emergency dental expert. Toothache - With the increasing need of emergency dental care, emergency dentist remain open on Sundays to help their patients overcome their pain and discomfort. So, if it’s a weekend and your toothache does not go away with natural as well as pain killer solutions, see your emergency dentist. He/she may remove the decay and provide a filling. You may need multiple appointments to get over a serious toothache. The next time you find yourself in an unexpected situation of dental emergency, make an appointment to the nearest emergency dentist in London right away. It will help you get over the pain and discomfort caused by the inevitable circumstance.